From time to time we seek occasions to help people with our work. Recently we had the opportunity to give a hand to the ’Breath’ Association – a group of highly qualified doctors initiating lung transplant operations in Hungary. Now the nearest a patient has to go is Wien for such a surgical intervention. The doctors of this association are all experts of the field, operating already in different countries. They simply asked us to design business cards for them. We prepared a logo, a complete identity for the association and of course the business cards, which were printed by the Avaloni Printing House at its own expense. If you feel like you can also support the initiative! What could brighten up another Monday morning? The latest edition of Choi's Gallery! Especially when we are in it. 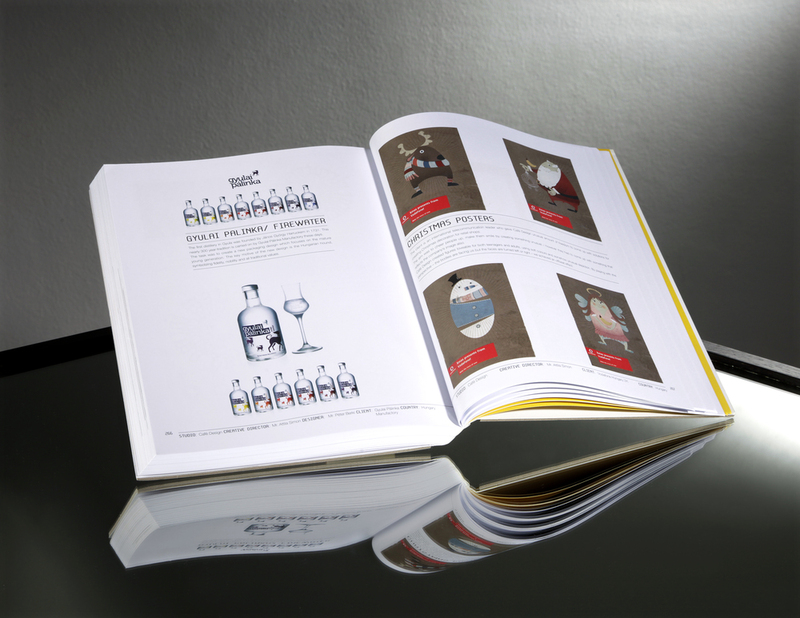 Our wine packagings were selected to be published along with many inspiring designs. This time Schiszler earned silver! Schiszler packaging earned silver prize at the 2012 PAKK Packaging Design Competition. Our AD, Tamás Veress and talented designer, Anna Kőfaragó - amongst other Schiszler duties she was responsible for the bottle design - took the award on behalf of the whole team. 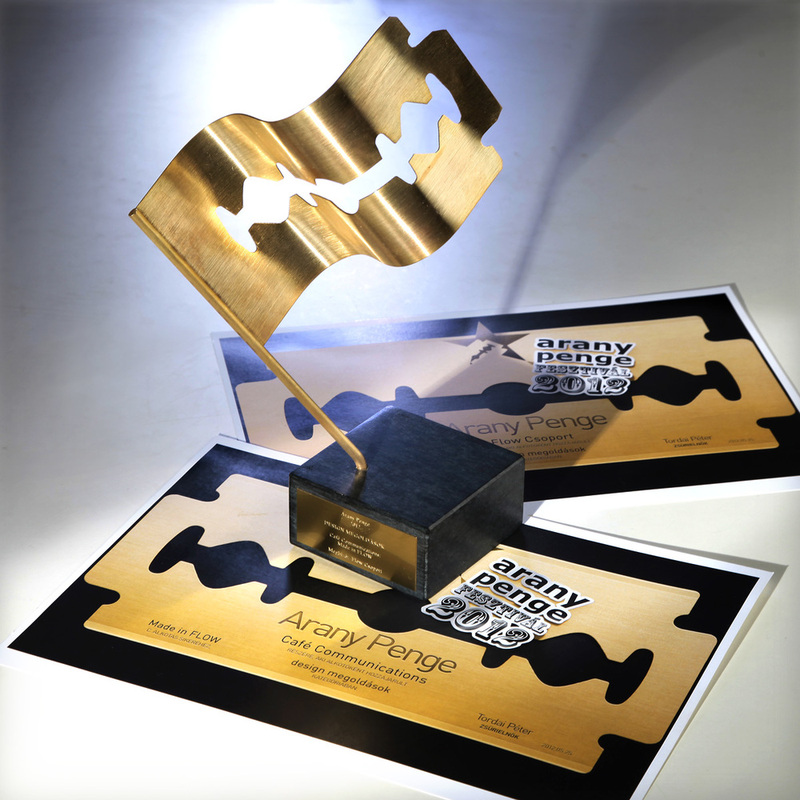 This year we won a gold Golden Blade with our Flow project on one of the most acknowledged creative competition in Hungary - Arany Penge/Golden Blade. Thank you all who participated in this project! Just got a package from China. Heavy and square. Exactly what we were waiting for! 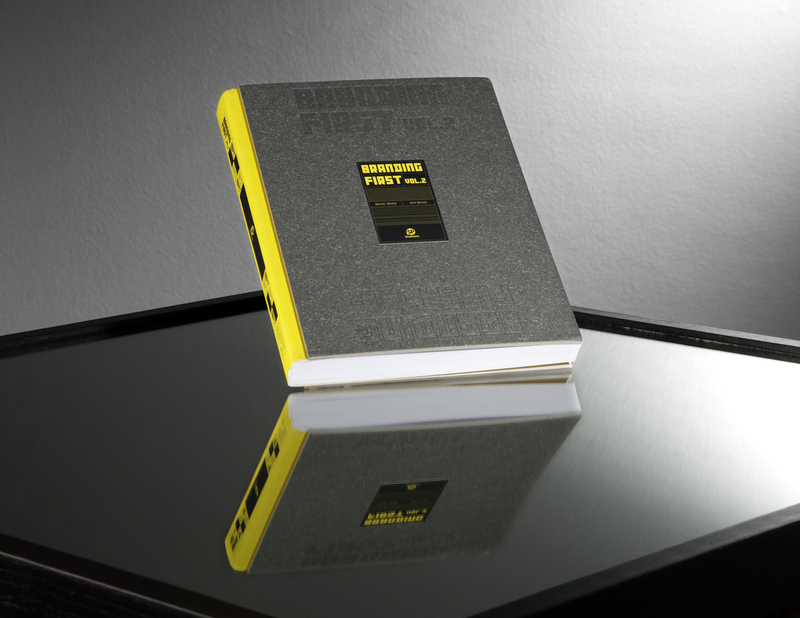 The big book of branding: Branding First by SendPoints. More than 300 pages of greatly inspiring works from all over the world – with ours among them. This year at BOI – Best of International, the competition of E3 international agency network we nominated our Flow and Schiszler projects. This year we won the "Design Agency of 2011" award - the most recognized award in the graphic design sphere in Hungary - given by the Arany Rajzszög Társaság / Golden Pin Society. We are very proud of all our colleagues and their works. Thank you!